Cheerful Girl Swims In The Sea. Child Shows Thumbs Up Sign. Smiling Girl Likes The Sea And The Beach. Happy Summer Holiday, Summer Vacation Concept. Summer Fun. Lizenzfreie Fotos, Bilder Und Stock Fotografie. Image 101341625. 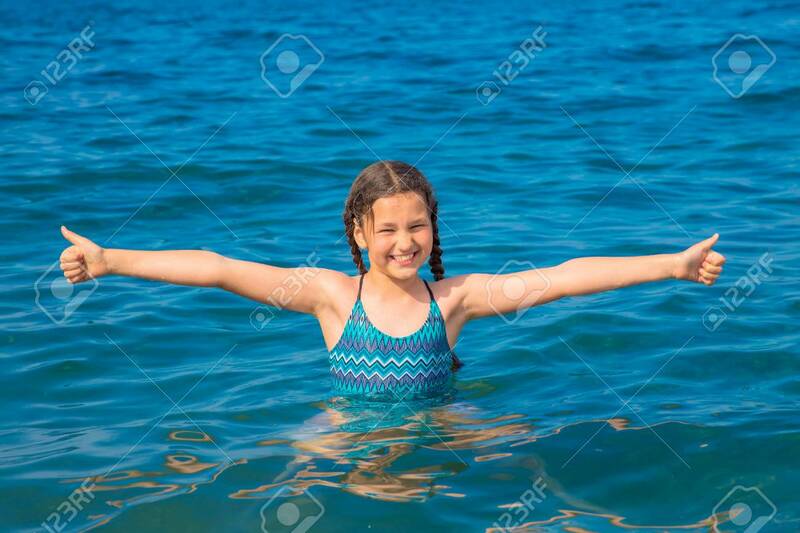 Standard-Bild - Cheerful girl swims in the sea. Child shows thumbs up sign. Smiling girl likes the sea and the beach. Happy summer holiday, summer vacation concept. Summer fun. Cheerful girl swims in the sea. Child shows thumbs up sign. Smiling girl likes the sea and the beach. Happy summer holiday, summer vacation concept. Summer fun.